Brush and brown wash, over black chalk, on paper. 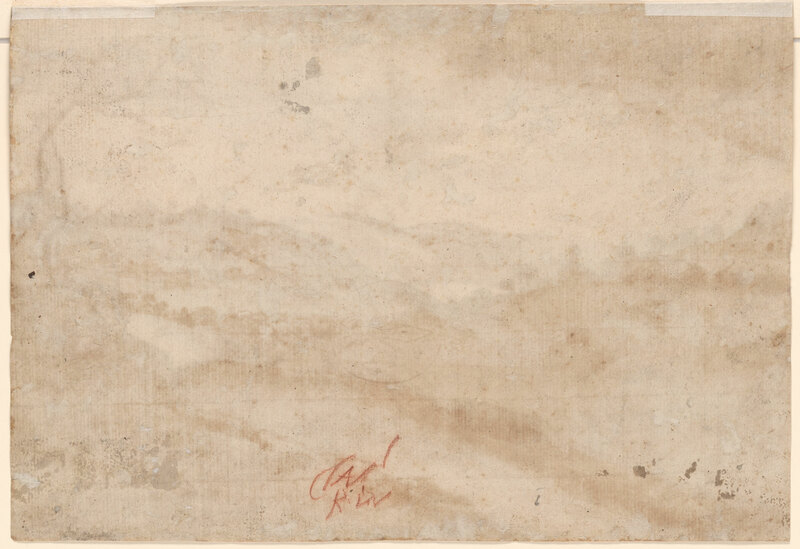 Inscribed in pen and brown ink, at lower right of the recto, "13", deleted; lower verso, in red chalk, "CLAV/R.IV". Joachim van Sandrart, who often accompanied Claude on long days drawing from nature, remarked that his friend “tried by every means to penetrate nature, lying in the fields before the break of the day and until night.” This naturalistic landscape was at least partly executed while Claude explored the area around Tivoli. With stark hills and barren trees, it is a striking contrast to his idealized landscapes. Yet it is signed on the verso with an inscription that can be interpreted as Claude Roma in Urbe (“Claude in the city of Rome”). 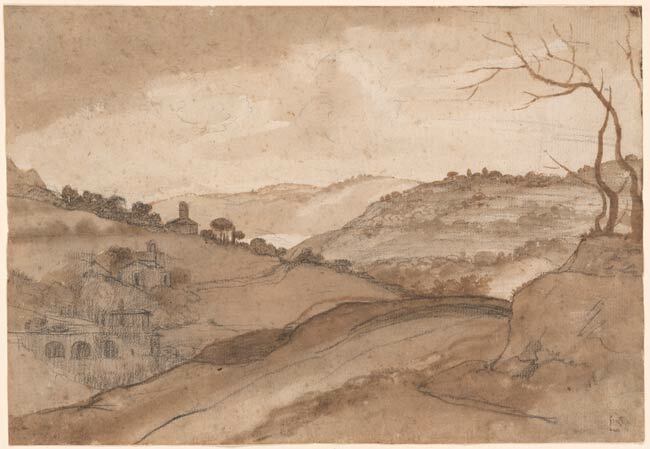 For all the drawing’s observation of nature, the artist seems to have finished the work in his Roman studio. Watermark: fleur-de-lis within a circle.